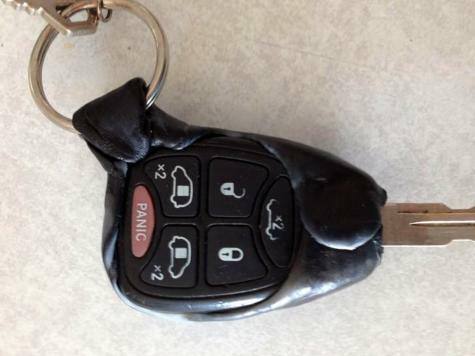 The keyring attachment on Melanie's car key has been broken for the last 5 years. After a quick Plastimake repair it's good as new! Not the best craftsmanship, but I can finally put my car key on a key ring after 5 years! I am so happy, thank you! This seems to be a relatively common problem, we've seen a few similar examples in the past.